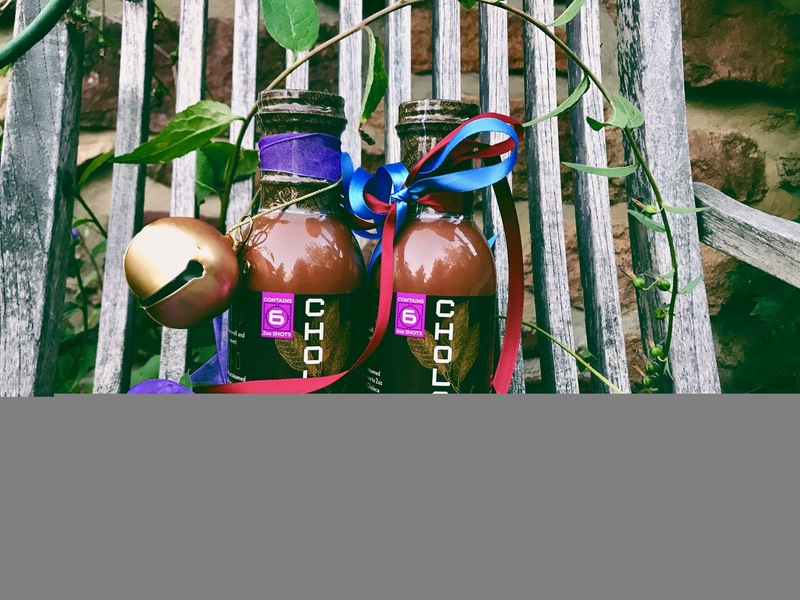 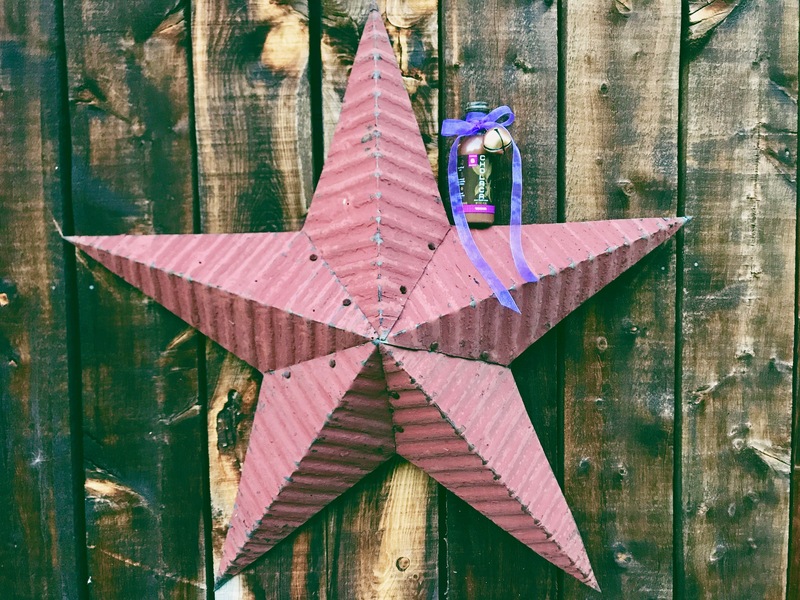 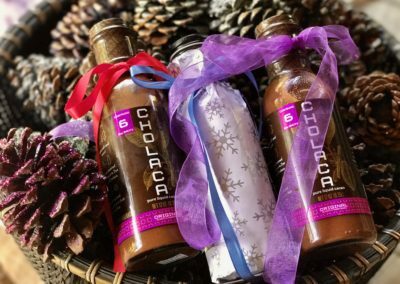 Healthy chocolate for the holidays! 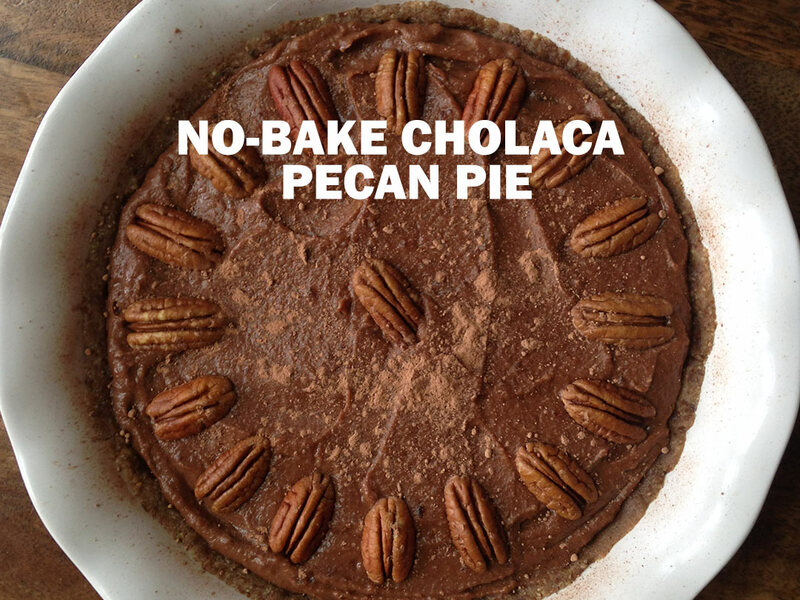 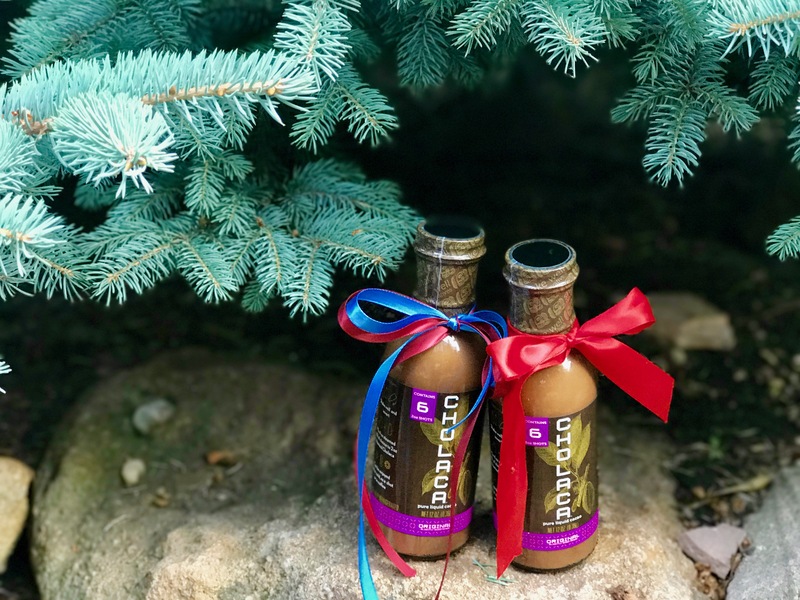 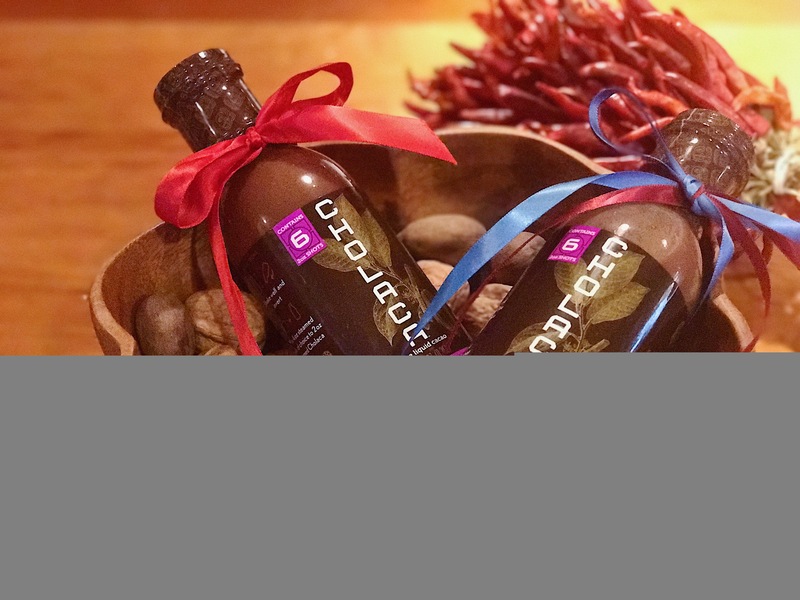 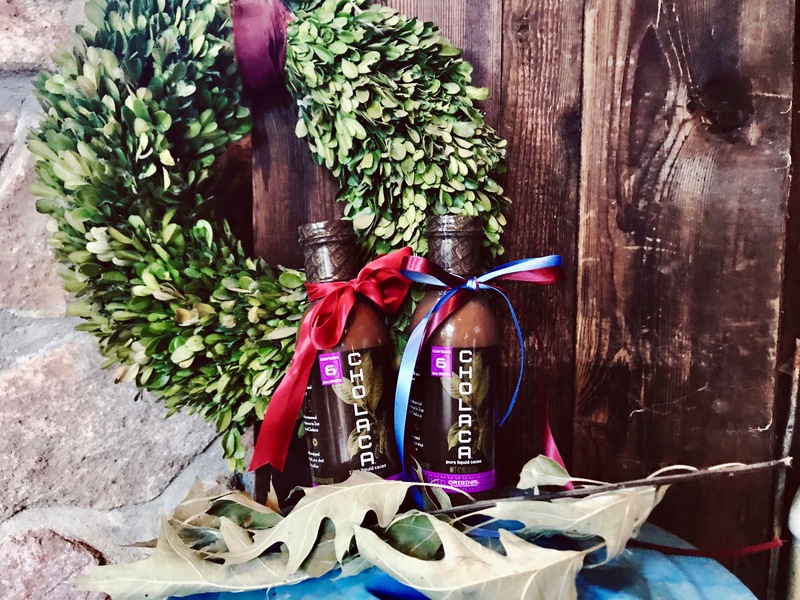 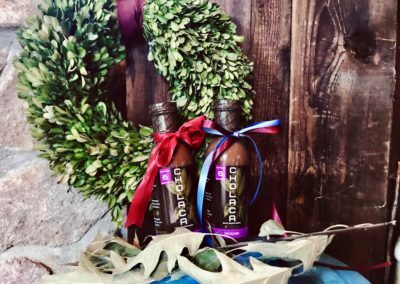 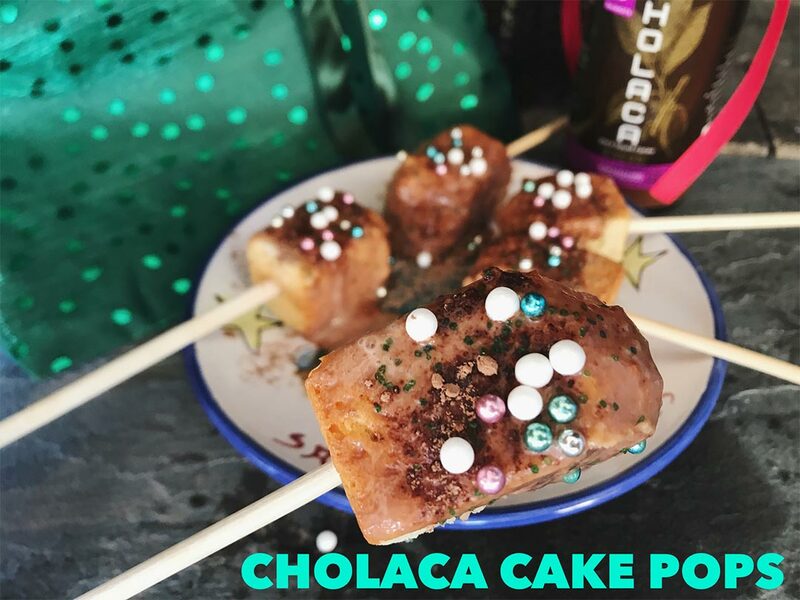 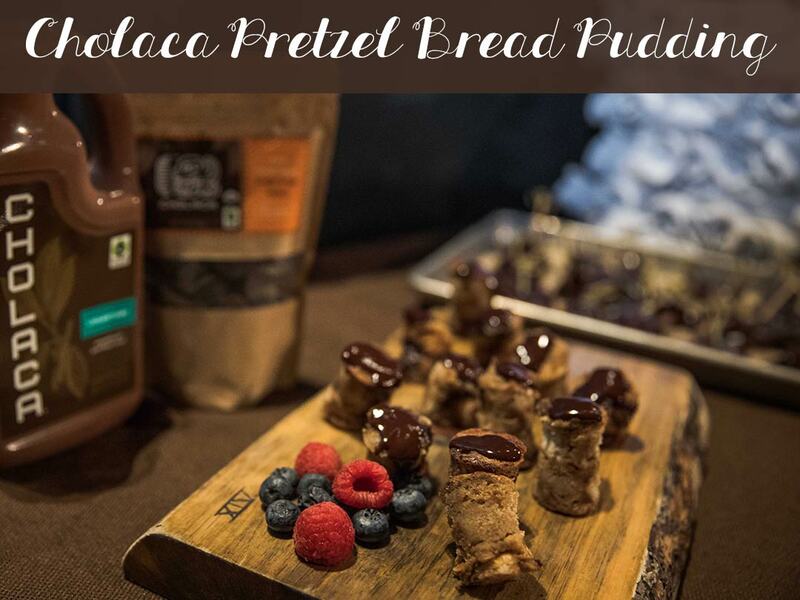 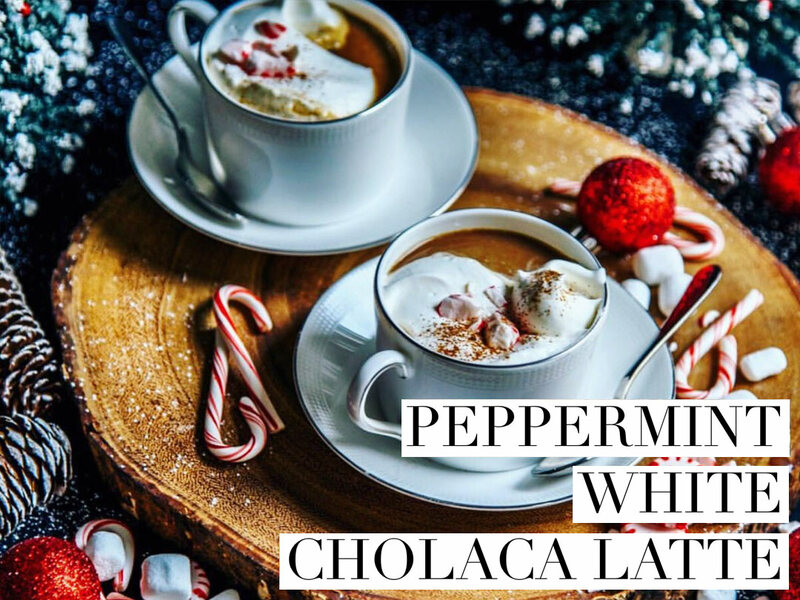 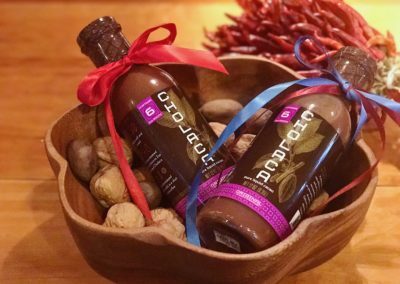 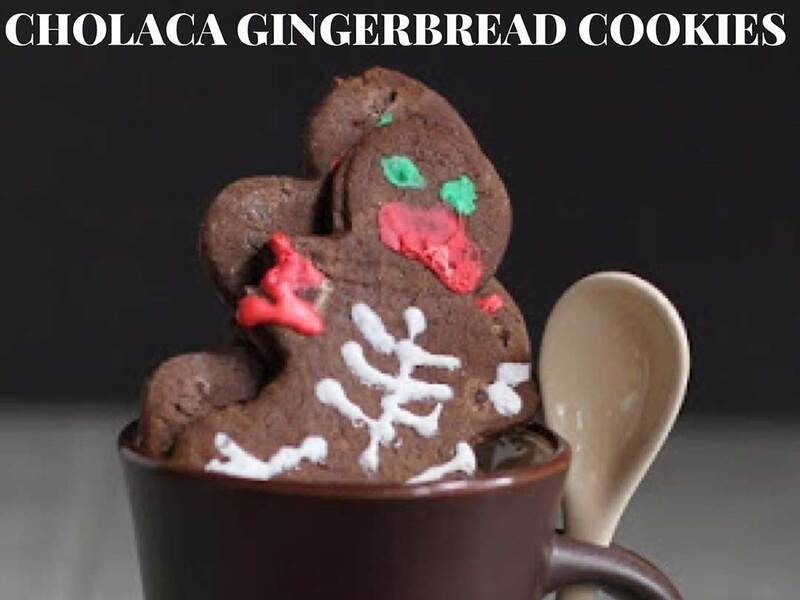 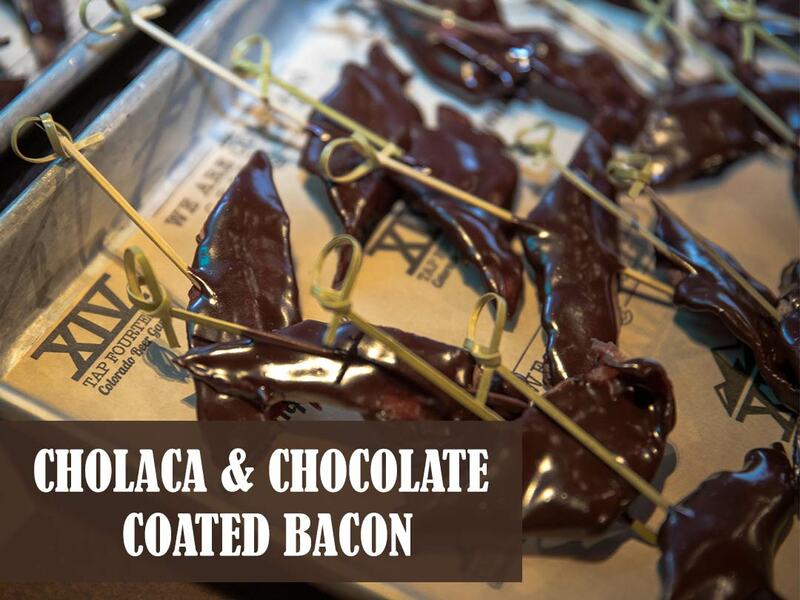 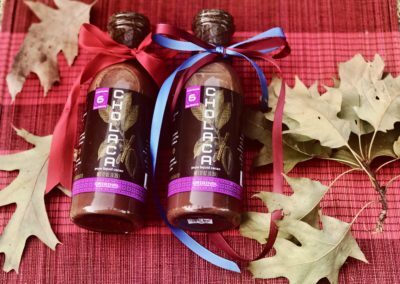 Check out these delicious recipes below that you can make with Cholaca and click here to learn more about the amazing health benefits of our pure liquid cacao! 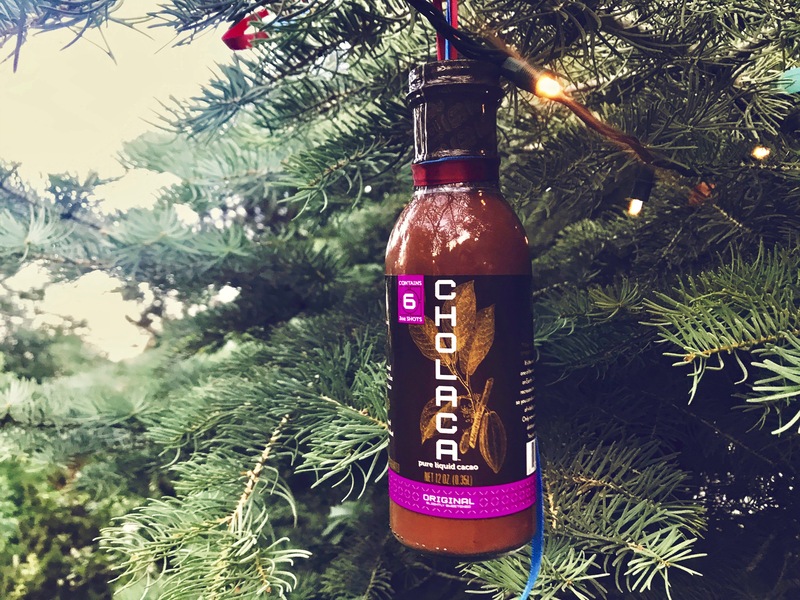 Find more recipes, learn about our partners and easily search where to buy in store and online right here! 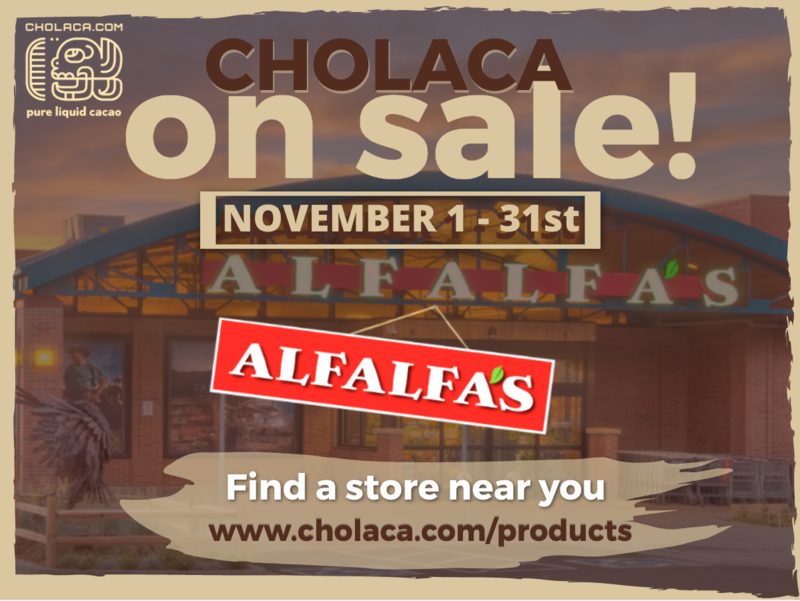 WE’RE ON PROMO AT ALFALFAS ALL MONTH LONG! 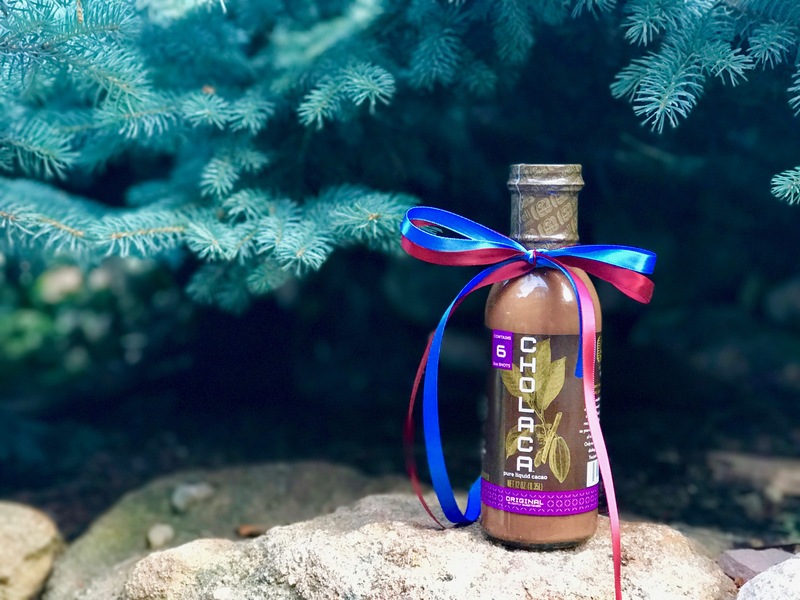 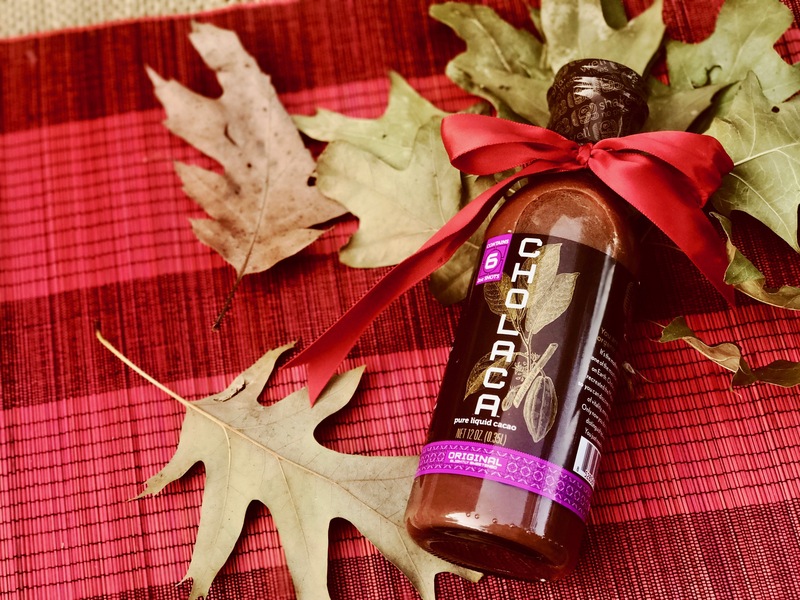 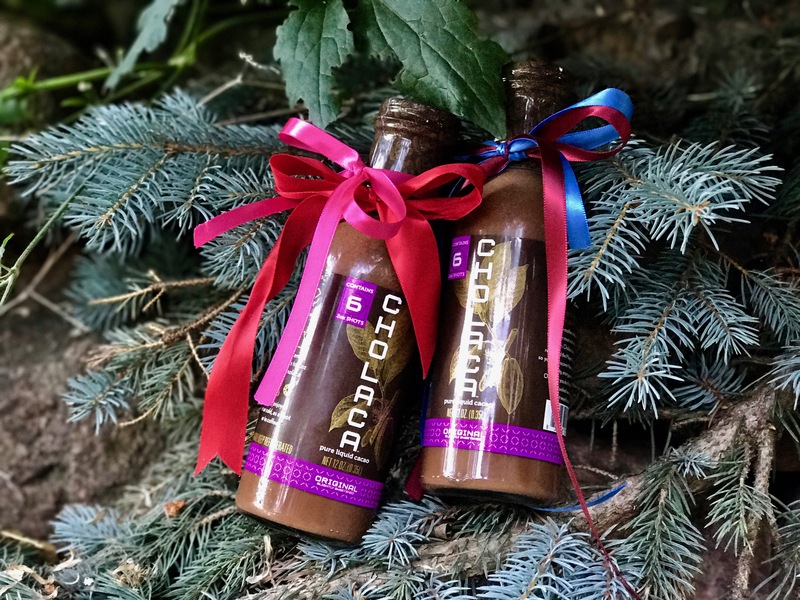 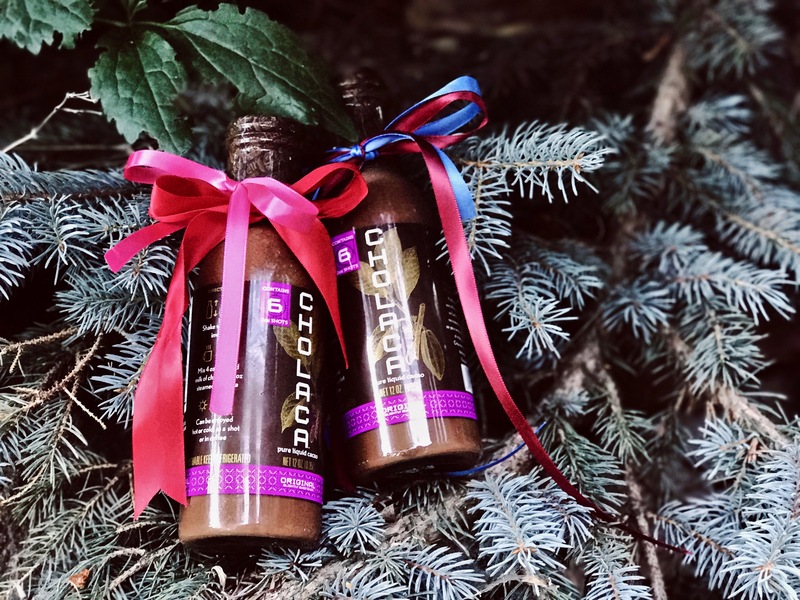 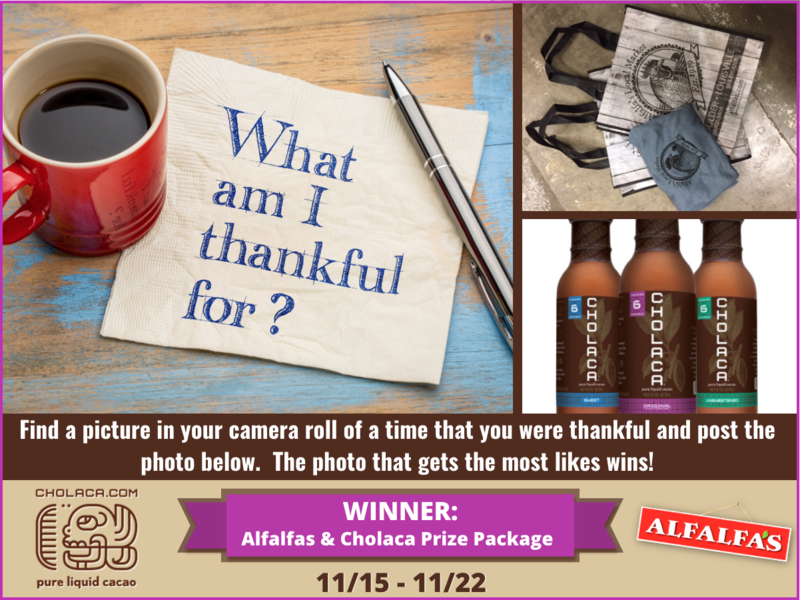 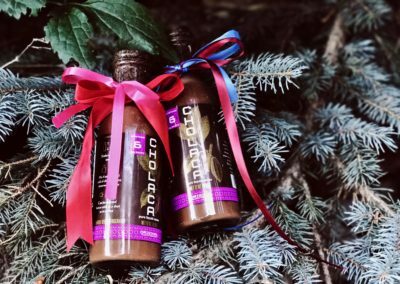 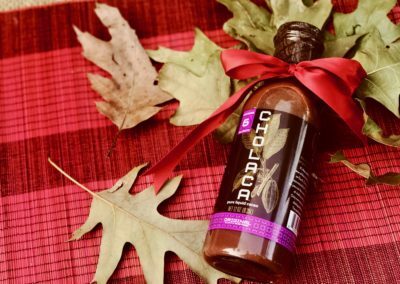 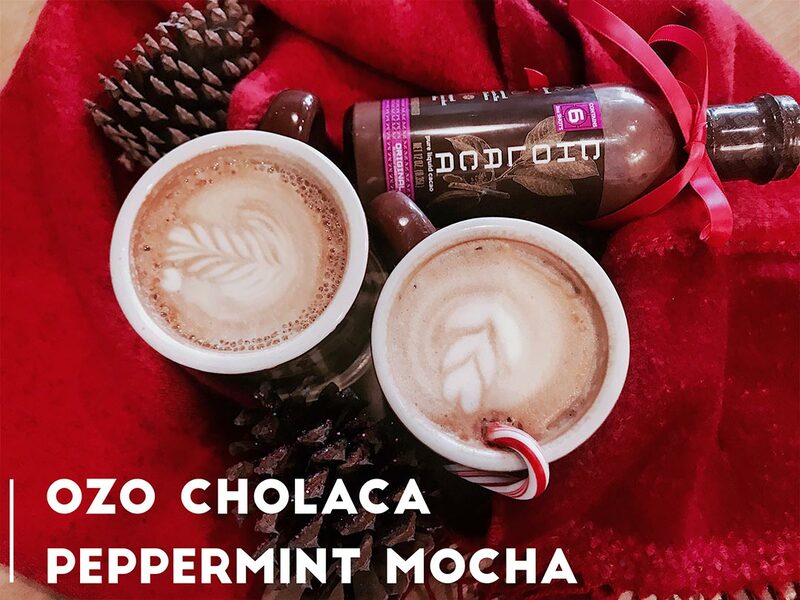 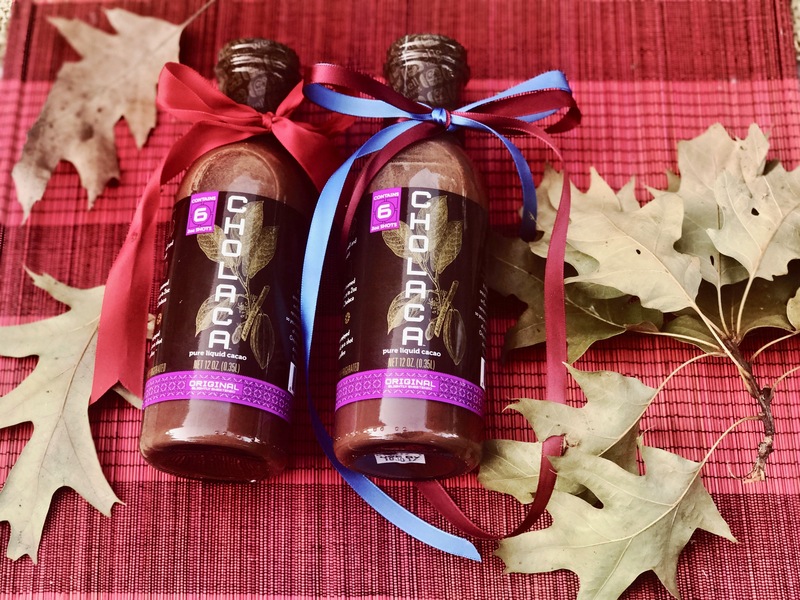 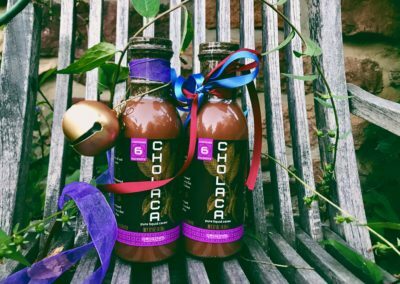 Don’t miss out on your chance to taste Cholaca’s pure liquid cacao available in 12oz and 32oz bottle’s. Save the rainforest with every sip you take! 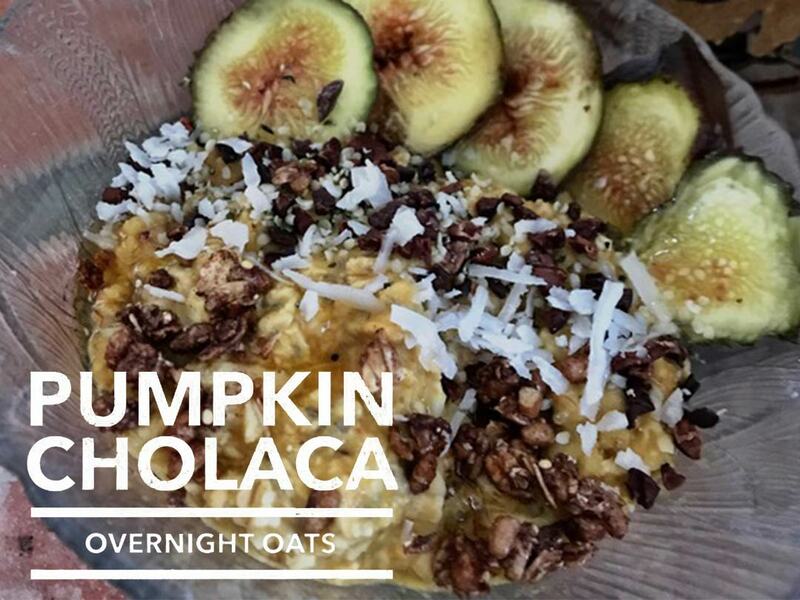 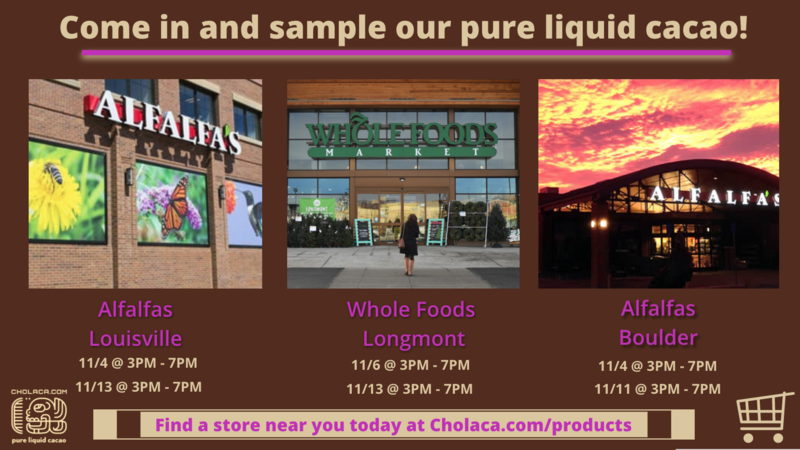 Visit our products page to find a store near you or see below for our in-store demo schedule where you can sample FREE CHOLACA this month! 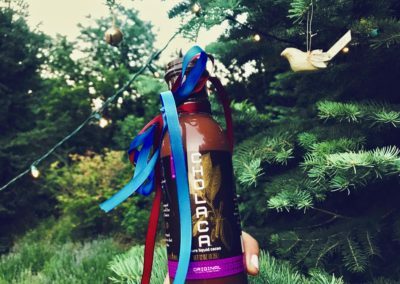 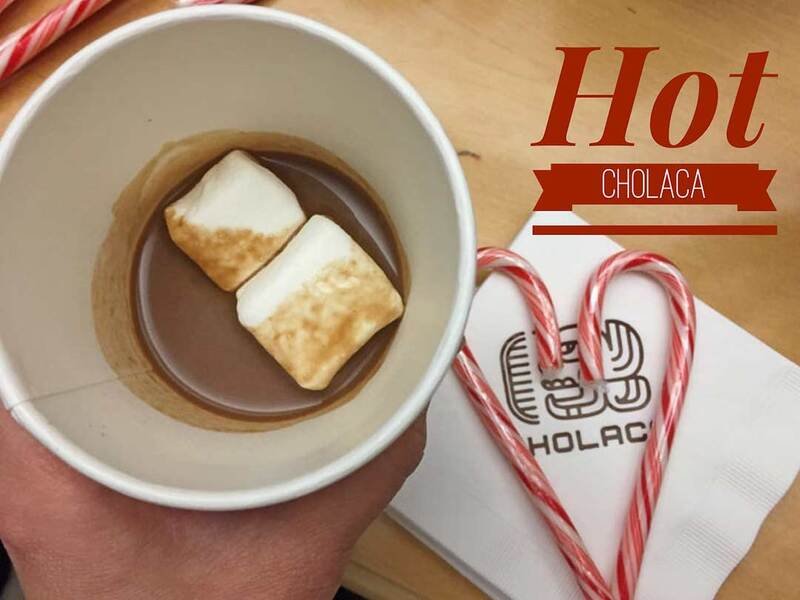 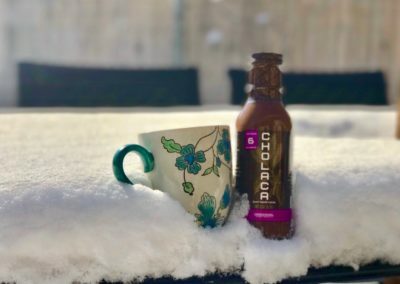 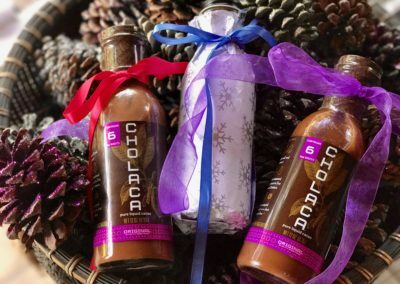 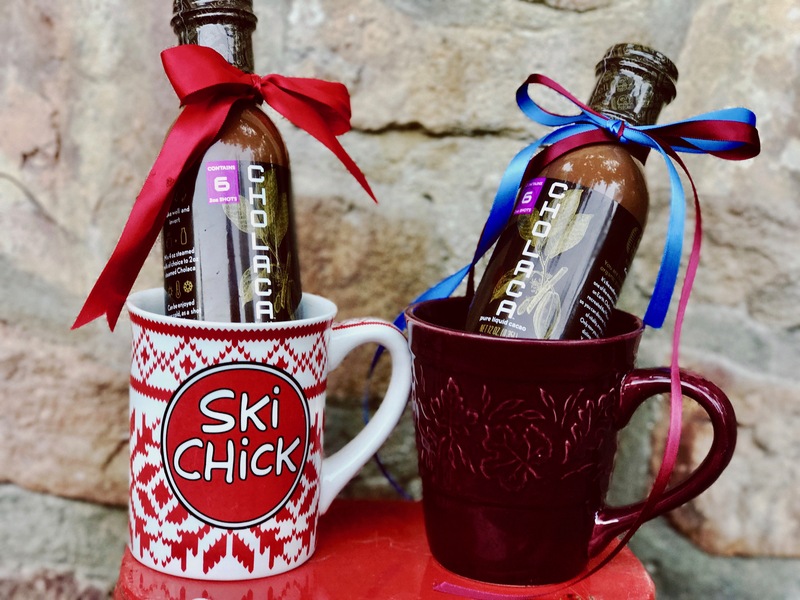 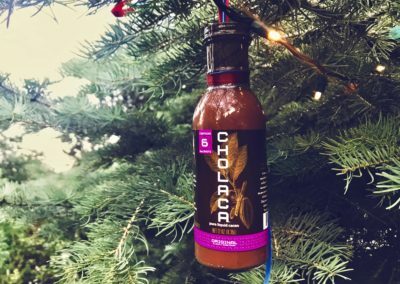 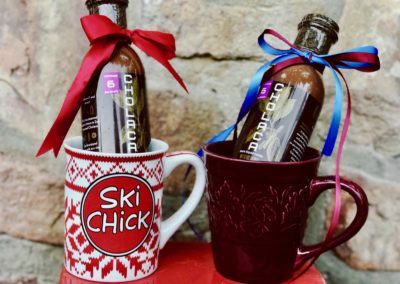 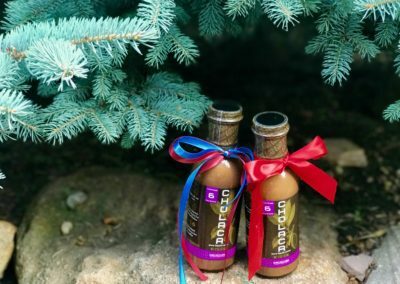 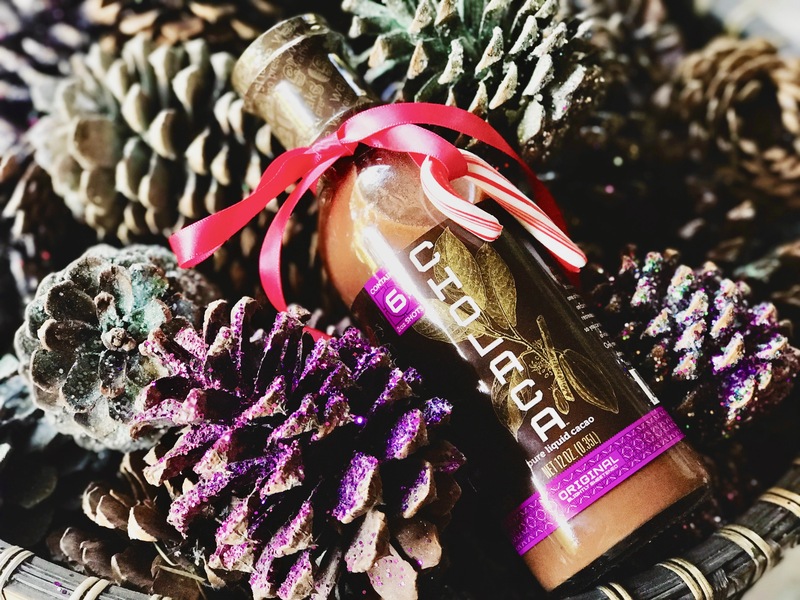 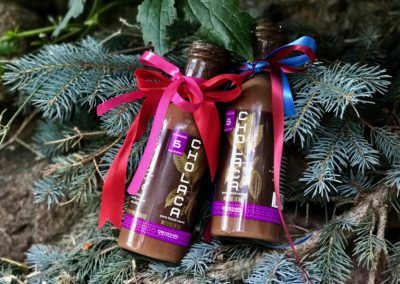 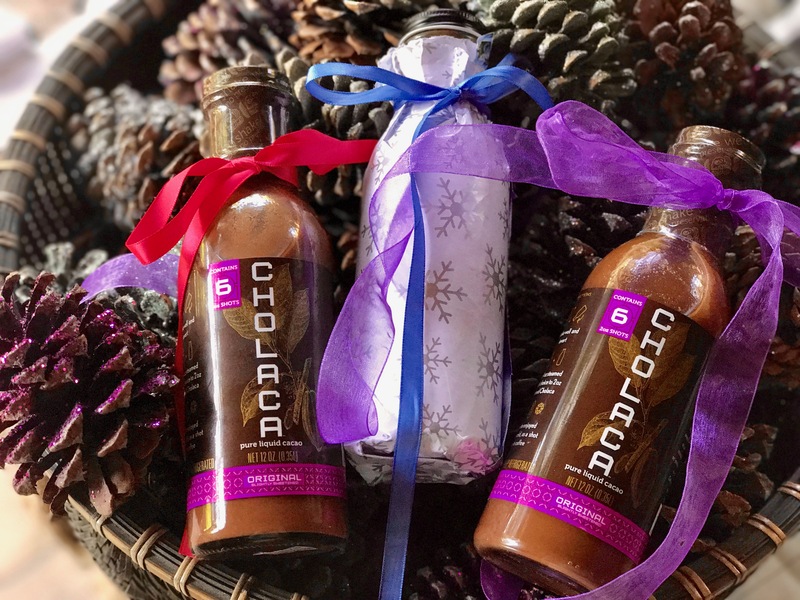 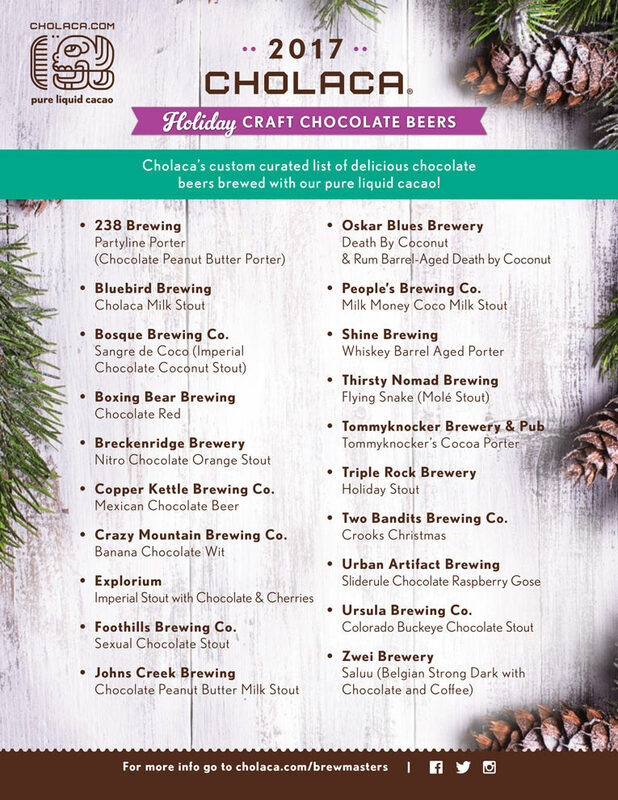 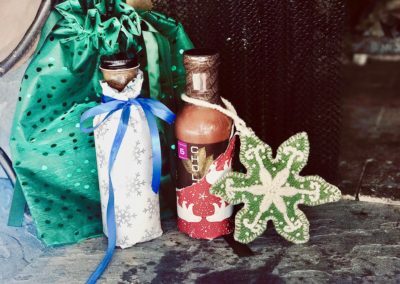 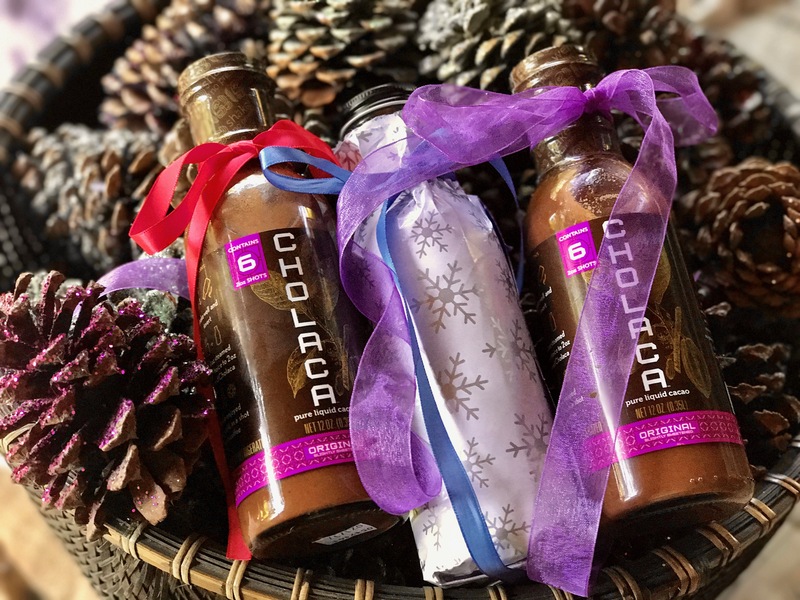 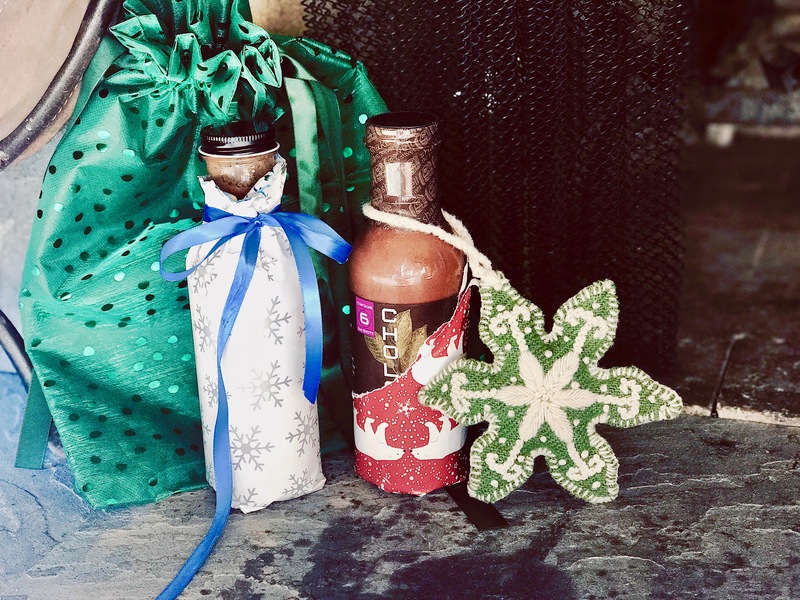 MUST HAVE CHOLACA BREWED CHOCOLATE BEERS FOR THE 2017 HOLIDAY SEASON!